Monkey Skater – the fun and addictive jungle monkey skating game that the whole family will enjoy! 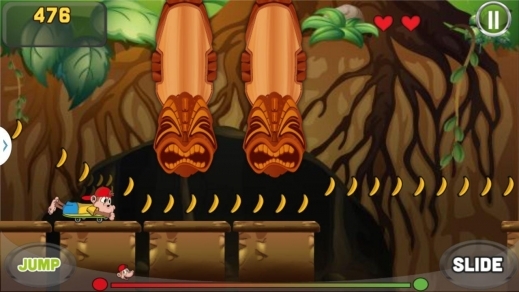 Work your way through three extreme Kong modes and take to the jungle as you jump and slide in this wild adventure! 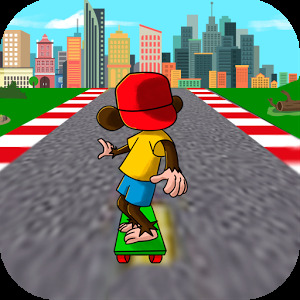 MONKEY SKATER – THE SKATEBOARDING GAME LIKE NONE OTHER! You have never seen anything like it – monkeys like these are hard to find! Play as our daring hero as he completes a dangerous mission to become the greatest skater that ever lived! INTUITIVE TO PLAY AND CONTROL. 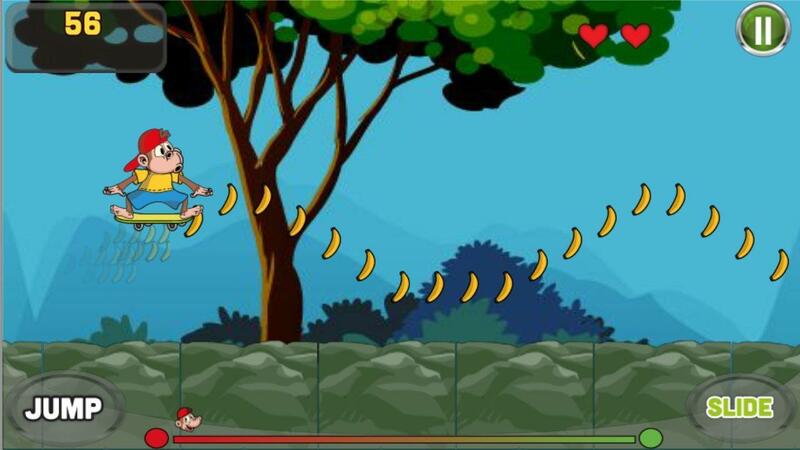 In Monkey Skater, it is your job to stay on your skateboard by jumping over huge gaps and ducking under dangerous obstacles. Do you have what it takes to complete each challenging stage? Is it a bird, is it a plane… or is it a bunny? No! Bunnies can’t skate – but this crazy monkey can! Like superheros? Love skating? Then you will simply adore Monkey Skater! He’s fast, he’s cool and best of all: he’s a superhero! Just collect superhero items to level up! 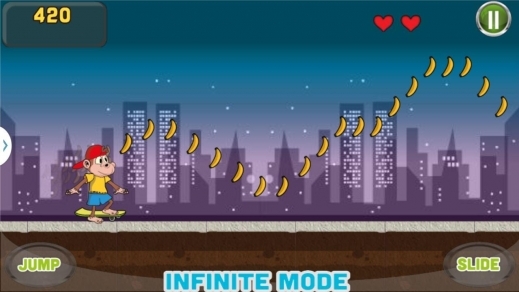 Gain power-ups along the way and become the best Monkey Skater! 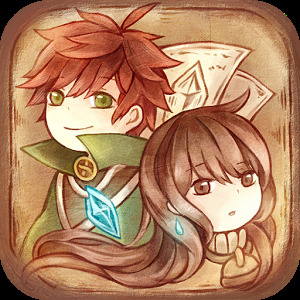 Challenge and Adventure mode will leave you at the edge of your seat – whilst quick mode is perfect for times of boredom! Play anywhere you go, in the car, on the train… or at 36,000 feet! 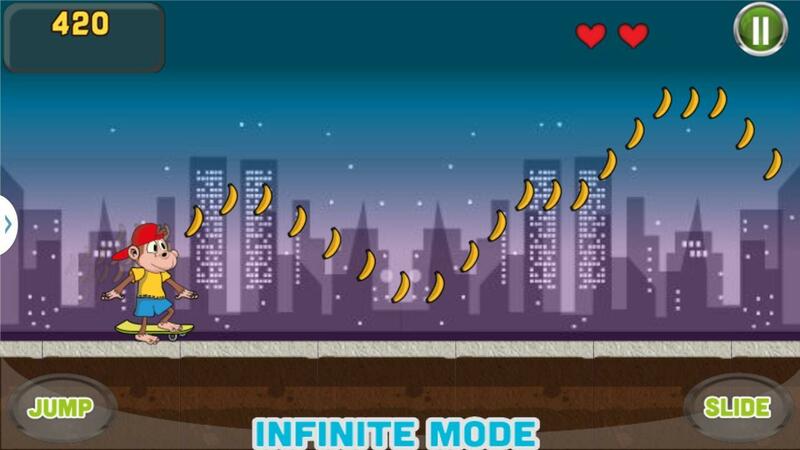 Get shreddin’ in Monkey Skater and stop monkey-ing around! – Get in-game power-ups and go bananas! 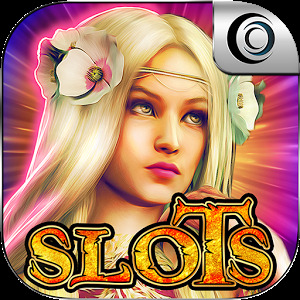 – Shred it up in the jungle! 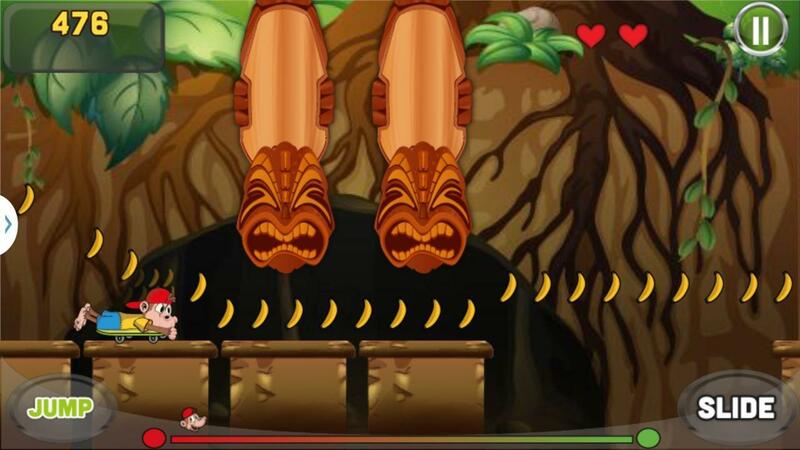 – Collect precious bananas along the way! – Avoid obstacles and make sure that you don’t lose lives! Pyck – Ask, don’t Post!